We’ve known for some time now that the payments world is changing. It’s not just about technology driving this change either, it’s about demand. Businesses want more control over their spending and a more strategic approach to purchasing. Some businesses are now recognising that a digital-driven card strategy can help, whether that involves employees using individual physical cards or digitally-produced virtual cards. In this article, we have outlined our top five benefits to taking a digitally-managed card approach to payments. As global competition increases, companies will continue trying to do more with less. The traditional reaction to market change has been to reduce the workforce and to cut costs quickly, but a digital card strategy can help free-up cashflow and also reduces the need for knee-jerk cuts to staff and assets. More savvy businesses are realising that this approach can be more productive as it gives them improved cash capital. Increasing control and visibility over spending should be at the heart of that thinking. Being able to assign funds only when necessary frees up a company’s credit lines and using these lines effectively means better working capital and fewer delayed payments. This, in turn, can lead to a more positive working relationship with suppliers. The key here is that physical and digital cards should always be visible and accountable, preferably with up-to-the-minute reporting. This means funds can be allocated more intelligently. Managing payments is typically a time-consuming business so why not automate it? By reducing process costs, businesses can not only save time but reduce costs even further. The time saved through automation is significant. A figure of up to 75% is often cited, but this can be higher once all the stages and involved parties are considered. The ability to automate invoice payments not only removes the process burden, it also provides a cloud-based repository for record keeping and easy reporting. This reduces paperwork, increases control of your cash flow and provides improved transparency and compliance. Add-in the ability to include all business card payments and tracking, and it makes for a powerful tool for managing business payments. Automation can also eliminate errors, because there are fewer touch points. Capturing all your payments in one place gives a business overall visibility of its spending, irrespective of currency, payment type, originating department, or cost centre. A digital card strategy will enable businesses to have full oversight at any point in time, which helps with on-going management decision-making and can avert any potential cash flow issues. This visibility can also help with transparency and compliance. Technology can flag issues or non-compliant activity quickly so that they can be speedily rectified. It also enables instant access, whether you’re looking for high-level executive reports or you want to drill down into the fine details – useful the next time the auditors are in. Empowering staff, by giving them the freedom to spend as and when they need to, enables them to get on with their jobs. Instant visibility of spending gives a company the reassurance that there’s no misuse, while virtual cards ensure that allocated budgets are spent on the intended items. Administration can also be reduced thanks to automatic payment processing, regardless of what systems are being used. No duplicates or manual data entry between systems means that they should all be able to integrate and share data, making for more efficient processes. Freeing up staff obviously improves efficiency, while the removal of manual or paper-based steps from a B2B payments process can speed up processing time, saving you hours, days or even months. All of this can lead to a better, more efficient business. Having supplier spend at your fingertips enables you to develop insights that could drive intelligent supplier negotiations and consolidation, improving overall control. It’s good for supplier relationships too. 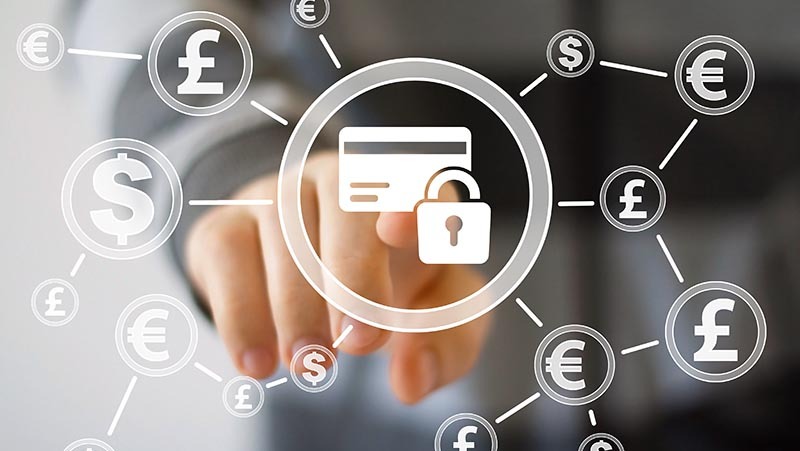 Suppliers will get increasingly familiar with card payments and 60- or even 30-day payment terms will become a thing of the past. This will ultimately create healthier supply chains all round.